Detailed roadway evidence in accident reconstruction makes every analysis better. Knowing specifically where a vehicle was at various positions either pre-impact, post-impact or at rest allows an expert to understand the details of a crash at a high level. This is crucial in cases where these details make a difference in the case, such as in product liability. Newer technology such as 3D scanners and drones are becoming widely available and used by both private consultants and law enforcement agencies. This allows the documentation of vehicles and roadway evidence to be performed at increasingly impressive levels. One of the more basic and most useful tools is the camera. When evidence is fresh and can be preserved quickly by the initial investigators, it can be used for years to come for experts to study and analyze. The old adage that a picture is worth a thousand words is put to the test time and time again when it comes to evidence collection. Ideally, evidence can be captured in both image and measure, allowing it to later be recreated in great detail if necessary. A quick case study shows the difference in the details that can be captured at the scene, which will fade quickly and no longer be available just a short time later. 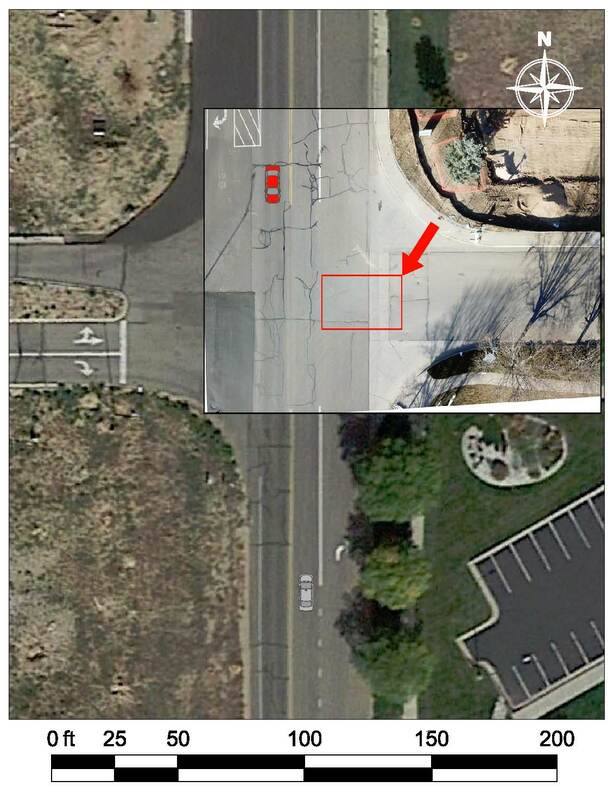 Figure 1 is a scaled Google Earth Aerial of an intersection and vehicles. Vehicle 2 was traveling northbound through the intersection. Vehicle 1, which was southbound, turned left in front of Vehicle 2. The center front of Vehicle 2 impacted the passenger’s side rear wheel of Vehicle 1. Drone photography taken within approximately an hour of the crash shows the driver’s side tire marks of Vehicle 1 as it rotated just after impact. Within these photographs, the striations of the tire marks can be seen, which relates to the angle of the tires that created them. These are shown in Figures 2 and 3. Oftentimes, evidence is not gathered by law enforcement or is very minimal. If evidence is collected using basic measurements, the detail and curvature of these tire marks would not be captured. Frequently, involved parties, witnesses, or investigating officers take photographs at the scene. 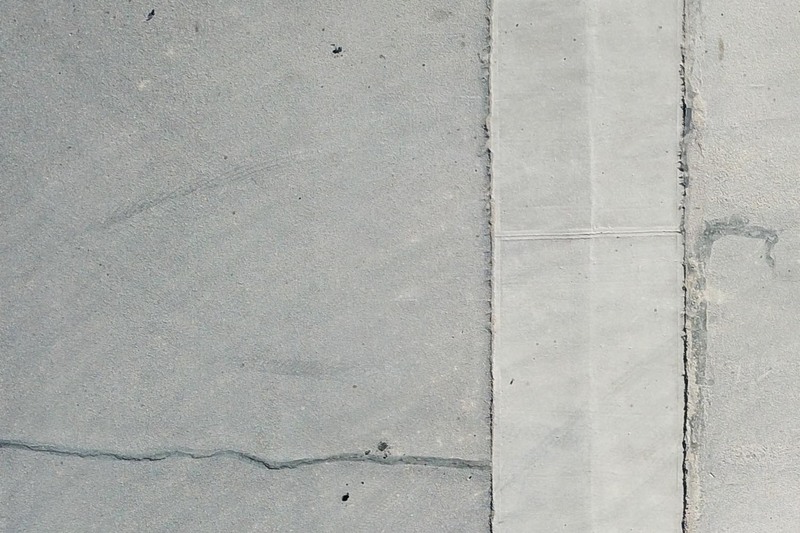 Measurements along with photographs allow an expert to recreate these tire marks in scale, relative to the roadway. This requires not only photographs of the evidence, but photographs of references around the evidence such as roadway characteristics that can be reasonably measured or determined. 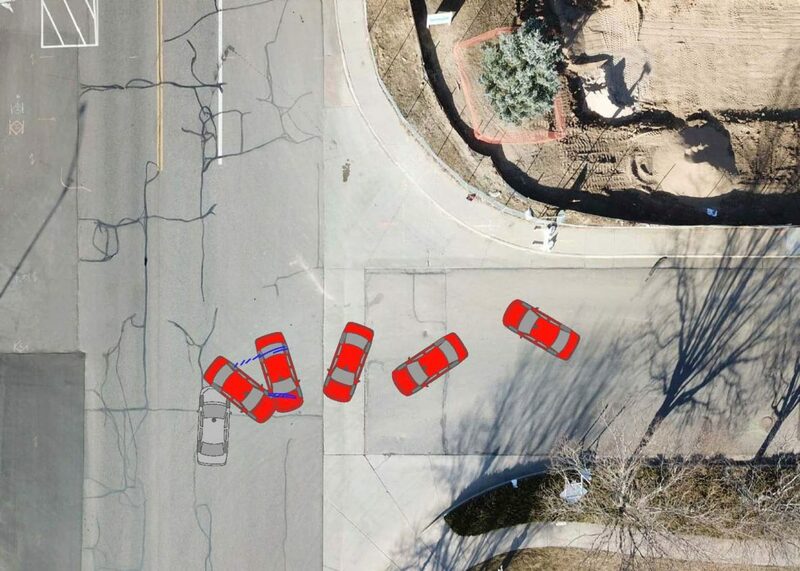 The details of the evidence captured in the drone photography of this area give an expert a valuable tool to understand the movement of Vehicle 1 in its location and rotation as it moved from impact to rest. 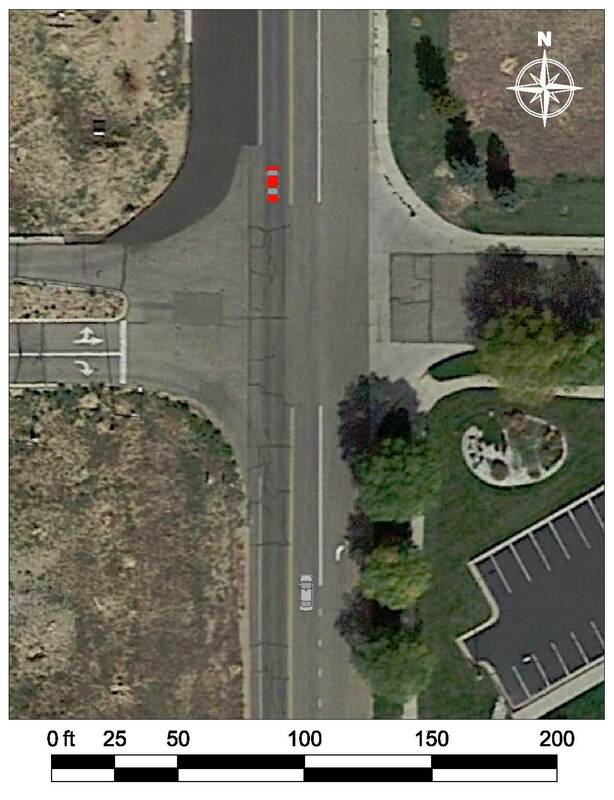 Figure 4 shows the approximate impact of the vehicles and subsequent movement of Vehicle 1. This is an excellent foundation for analyzing various aspects of the collision such as impact speeds, severity, timing, and forces generated. Figure 5 shows how quickly the tire marks faded over time. The photos show the evidence taken within about an hour of the crash, and then 1 and 2 days after the crash. It is easy to see how quickly this evidence can disappear if not documented early. If you would like to find out more about the accident reconstruction services offered at Ponderosa Associates, please visit our accident reconstruction consulting page or contact us.